April 1939. San Augustine, Texas. 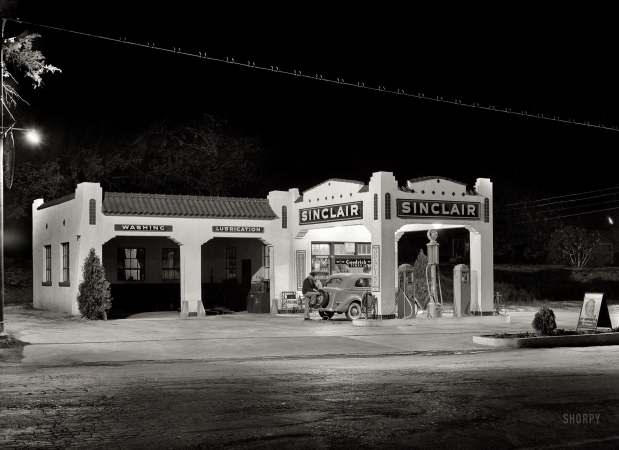 "Oil and gasoline service station at night."